Work Near a CRANE? Learn the Hazards! Has anyone ever asked you why OSHA requires extensive procedure and safety control training for crane operators and assistants? 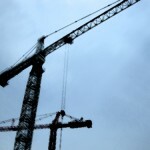 What about why is it really necessary to take time to provide crane safety awareness training to workers working around cranes even though it is not required by OSHA? Well, READ THESE recent news headlines (and follow the links for more information)!